Item # 299435 Stash Points: 17,995 (?) This is the number of points you get in The Zumiez Stash for purchasing this item. Stash points are redeemable for exclusive rewards only available to Zumiez Stash members. To redeem your points check out the rewards catalog on thestash.zumiez.com. 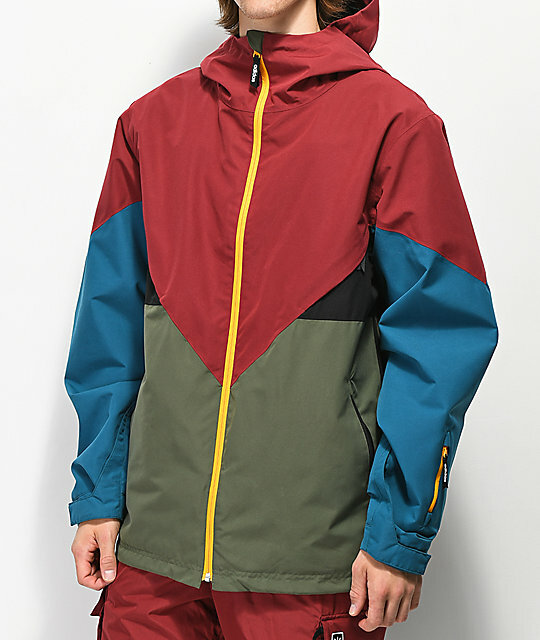 Take your adidas streetwear style to the slopes in the adidas Premiere Green & Maroon Snowboard Jacket. 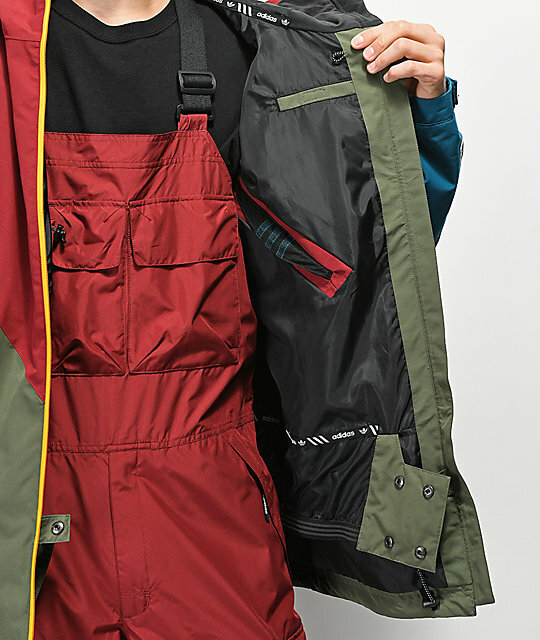 This 10K rated water resistant jacket is paired with 10K breathability and mesh lined pit vents to adhere to a wide range of temperatures from fall to spring. 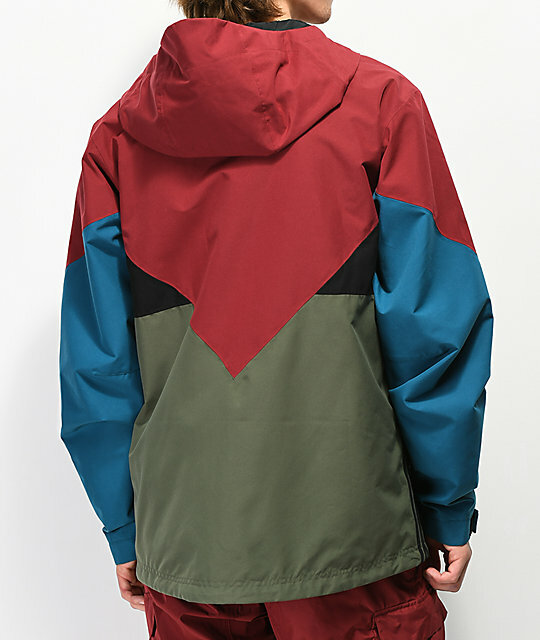 A tri-colorblocked design is highlighted by adidas text logo zipper pulls, an adidas trefoil patch logo on the left sleeve cuff and the brand's traditional three stripe pattern design down both sides. 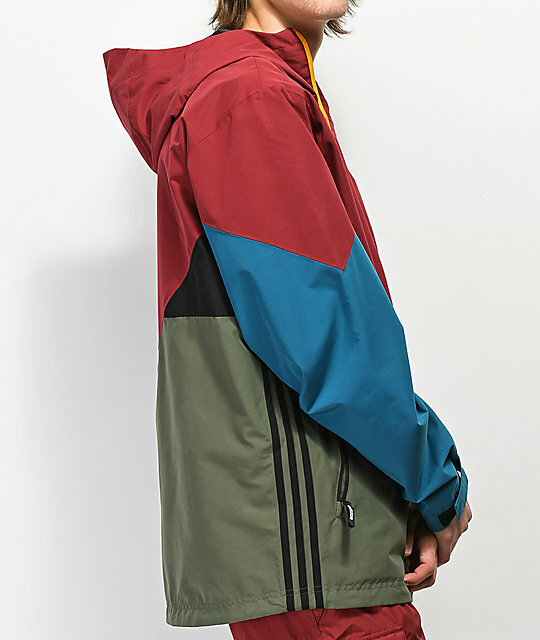 Take your daily streetwear look to the slopes this year in the adidas Premiere Green & Maroon Snowboard Jacket. 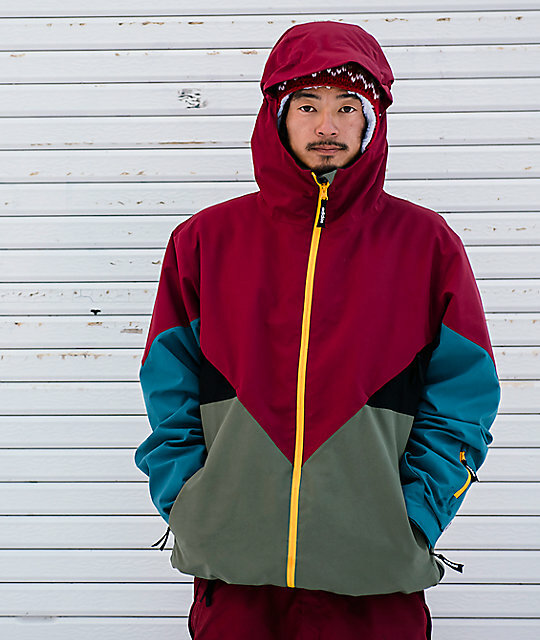 Premiere Green & Maroon Snowboard Jacket from adidas. Waterproof rating 10,000 mm: Best for light rain or moderate snowfall in drier colder climates. Breathability 10,000 g/m2: Good moisture & temperature management. 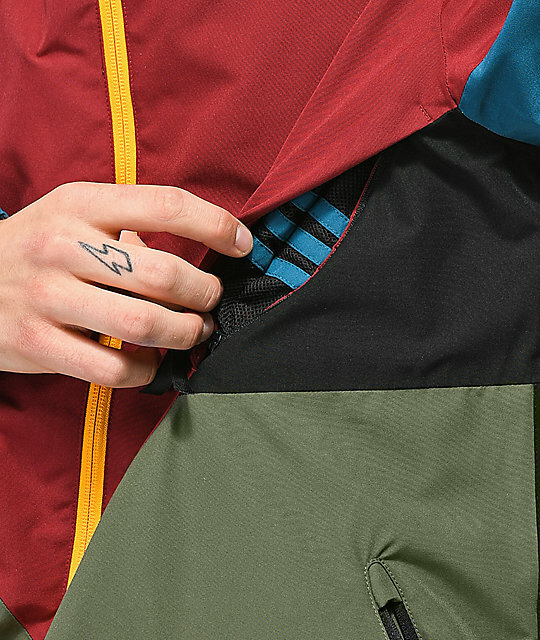 Colorblocked design with adidas text logo detailing on the zipper pulls and left sleeve cuff. Three stripe detailing in black down sides. 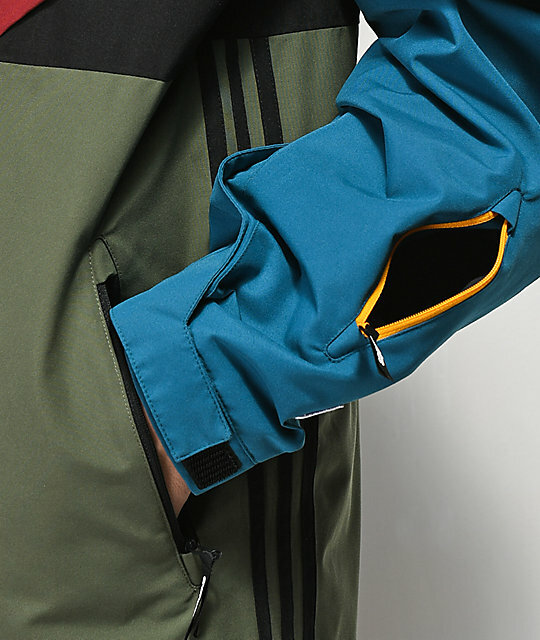 Breathable fully taped polyester micro rip stop shell. Front zip with internal storm flap and tricot chin saver. Adjustable elastic cord at hem. Internal audio pocket with hook and loop fastener closure. Built in snap button adjustable stretch powder skirt. Shell: 100% nylon rip stop. Lining: 100% polyester plain weave.